We offer all our guests free Wi-Fi and free coffee and tea in the lobby. At Red Roof Inn Bridgeton, pets stay free! Back at your room at Red Roof Inn Bridgeton, enjoy streaming the latest movies with our free Wi-Fi or watching your favorite shows on our flat screen TVs. Pour yourself a free cup of coffee or tea in the lobby, then purchase a treat from our snack center. 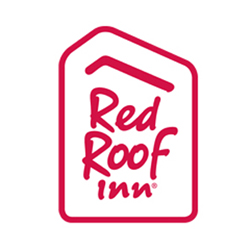 Your pet can stay the night for free at Red Roof Inn Bridgeton.